Authors have written books about rivers for hundreds of years – and that’s simply because waterways are fascinating subjects, having played a major role in the development of our towns and cities, agriculture, industry, trade and, in more recent decades, leisure and relaxation. So it has to be a really good book these days that provides something fresh for jaded waterphiles like me – and that’s certainly the case with the newly-published Rivers of Britain, written by Stuart Fisher and published by Adlard Coles Nautical. This plush A4 volume features a collection of wonderfully vibrant colour photographs, facts, anecdotes and snippets about all of the major rivers around England, Wales and Scotland – a sort of ‘Down Your Way’ for the rivers network. Mr Fisher is the editor of Canoeist magazine and over the years, he has penned monthly guides to the canals and waterways of Britain, researching from the water and using a kayak to reach abandoned or out-of-the-way navigations. That gives him a unique perspective on which to base his current musings. Fisher believes that Britain’s rivers deserve to be better known. He spotlights the teeming wildlife, the fascinating historical facts and the architectural gems – bridges, docks, riverside pubs etc – which can be found along the banks of every one of our rivers. The book – some 300 pages long – takes the form of a coastal journey around this island beginning in the far west with the River Camel in Cornwall and highlighting the attractions of all our best-known tidal rivers including the Avon, Severn, Dee, Mersey, Clyde, Forth, Tyne, Humber, Orwell, Thames, Medway, Arun, Exe, Dart, Tamar and Fowey before finally coming full circle with a look at the Carrick Roads. But in between those major arteries, Fisher also finds time to poke around in the muddy waters of some of our smaller tidal waterways that make up in interest what they lack in tidal volume. This excellent book will be of interest to sailors, fishermen, walkers, skippers of motorised craft and canoeists. As well as listing places of interest, it also offers practical information on rapids, weirs and nearby towns and car parks. I can highly recommend it. 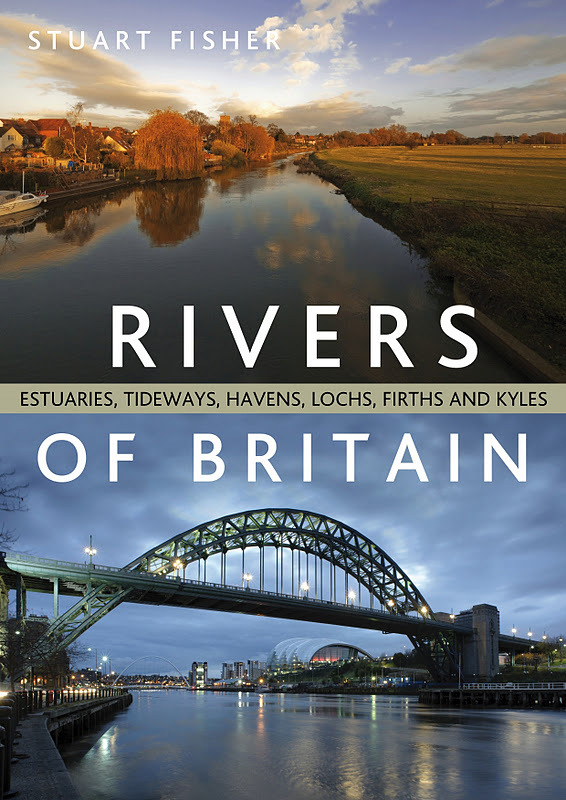 Rivers of Britain is published by Adlard Coles Nautical, priced at £25; ISBN 9781408146569.